Las Dos Caras de Jano ["The Two Faces of Janus"], a thriller produced and filmed in Puerto Rico based on a novel by Wilfredo Mattos Cintron, will be premiering on April 5th as an official selection of the 24th Annual Chicago Latino Film Festival. It's the second time that Puerto Rican actor Modesto Lacén (PBS's My Family and Dirty Dancing 2: Havana Nights) has played the role of detective Isabelo Andújar after Desamores which was released in 2005 and brought a modest review from Variety. Both films were directed by Edmundo H. Rodriguez. Of interest is the fact that the basic plot of the new film revolves around a serial killer who is targeting closeted gay men in the island. When an acquaintance of Detective Andújar is murdered soon after he comes out to him, the detective races to catch the killer in order to prove that the man's wife is not his murderer. According to press materials, "The investigation uncovers prejudices against gays in Puerto Rico, the shaky ties between college buddies, and countless other truths." 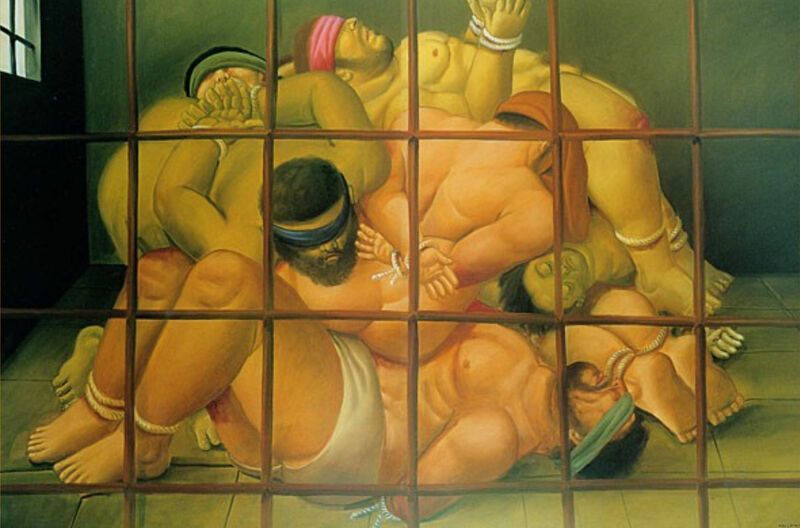 Mattos Cintron is known as a political writer who has advocated for Puerto Rican independence and been part of peace and justice movements in the Caribbean and, in these novels, he seems to be writing in the vein of Walter Mosley and his Easy Rawlings detective series, particularly with a black detective as the protagonist. These issues seem to have been preserved by script writer Gilberto A. Rodriguez who adapted both novels for the screen. This is why I am intrigued about how they tackle issues relating to homosexuality, bisexuality, being closeted and racism in a Puerto Rican community that still has deep pockets of homophobia combined with machismo. 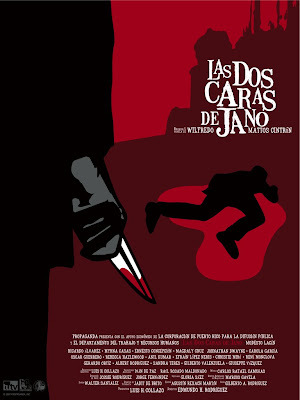 "Las Dos Caras de Jano" has also been submitted for consideration at the New York International Latino Film Festival set for July of 2008. You can check the Director's MySpace page here or a Spanish language movie trailer below. UPDATE 1: The film will also be shown as part of the Havana Film Festival New York on April 14th at the School of Social Work of Hunter College and on April 16th at the Quad Cinema. More info here. I hope to catch this. Thanks for pointing it out.